President Obama’s holiday public relations spree in Alaska could be broadcast with Chevy Chase’s Holiday Road theme song from the National Lampoon Vacation -- if it were not so tragic. Behind all the smiles and jubilee, it is the pristine Arctic that will suffer from Obama’s Shell drilling in the Arctic. The Alaskan holiday public relations extravaganza begins with Obama approving Shell's drilling the Arctic, and continues with Obama presenting himself as a climate hero. This duplicates Obama pushing the War in Afghanistan and carrying out targeted assassinations with drones -- while accepting the Nobel Peace Prize. For an extra touch of Hollywood, Obama plans to be on Running Wild with Bear Grylls while in Alaska. 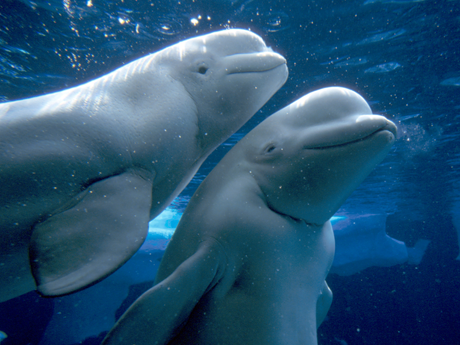 Maybe while Obama and Grylls are keeping it real, they can remember the Beluga whales in the Chukchi Sea who are the victims of Obama's Shell drilling in the Arctic. Mohawk Neddie Katsitsiaionhne offers a clear perspective on Obama in Alaska. "He dances with our children, all the while smiling knowing he is there to hurt them forever, the children do not know what he is or what he has planned for their own children's land water air and food and animals and natural medicines. I know some protect the children from such things but the leaders should have made an example out of him and chased him out like the strong Dine' has done to that low life form called John McCain." Meanwhile, down in Arizona, Arizona Senator John McCain has a similar public relations scam underway. It comes after McCain sneaked through a land exchange in the defense bill to desecrate sacred Apaches Oak Flat with copper mining. McCain was then chased off the Navajo Nation by angry Navajo protesters. Sorry McCain, but Navajos have videos of chasing your car to the airport in Window Rock. That’s an epic fail in PR. Obama’s spin to the United Nations Human Rights Council in May was a global epic PR fail. Thanks to video livestreaming, the lies and deceptions bombarded viewers around the world. While the US delegation was spinning the facts before the UN Human Rights Council, on the same day, Obama approved Shell's drilling in the Arctic. Obama's delegation to the UN Human Rights Council, led by Keith Harper, Cherokee, concealed the facts and outright lied about US spying, torture, imprisoning migrant children, failed services to veterans, and much more. With CNN's bombardment of manufactured news, and stay-at-home plagiarizers in the print media copying the web for proft, instead of actually going out and covering the news, deception is now the cornerstone of the US news industry. Away from the Holiday Road blitz, there are real people, and the real natural world, that will suffer from Obama's oil drilling in the Arctic. 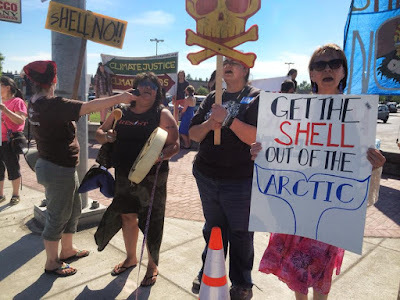 In Anchorage, Alaska's Big Village Network held a public demonstration to demand that Obama "Save the Arctic" from offshore Arctic drilling operations currently underway by Shell Oil. “The Arctic is a vital and critical food security source for Arctic indigenous peoples inhabiting the entire Arctic Region. The Arctic is an international migratory pathway for many animals, birds, fish, and marine mammals,” Alaska’s Big Village Network said. "Salmon is the backbone our subsistence economy," says Ole Lake, Yupik advisor for Alaska's Big Village Network. "The high probability of an oil spill in the Chukchi Sea drilling operation by Shell Oil directly affects our salmon habitat. The salmon feed of the rich biological ecosystems under the sea ice in the Arctic. 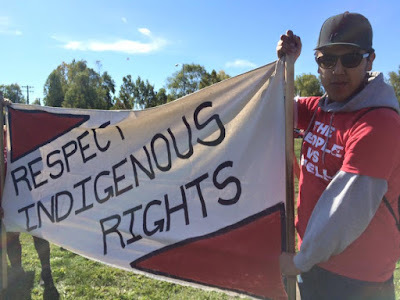 All Alaskan Native peoples are impacted and threatened by offshore drilling in the Arctic." Shell No Alaska has three demands of President Obama: Cessation of exploratory drilling in the Arctic; protection of Indigenous Peoples human rights and Alaska's communities, a rapid and just transition to renewable energy; binding agreements at the 2015 UN Climate Change Conference that are on par with what science has shown is necessary for a livable future. 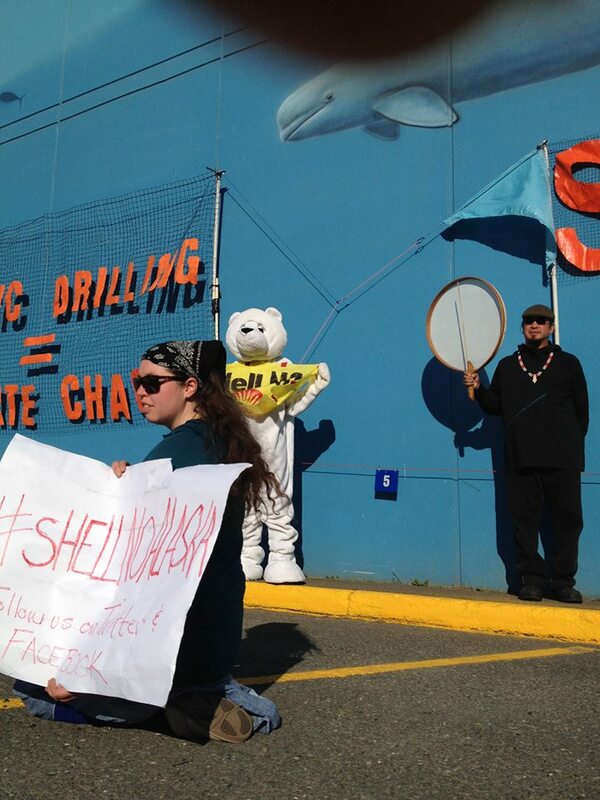 Carl Wassilie of Shell No Alaska said, "We have to represent the voices of those who can't speak, including future generations and the animals. 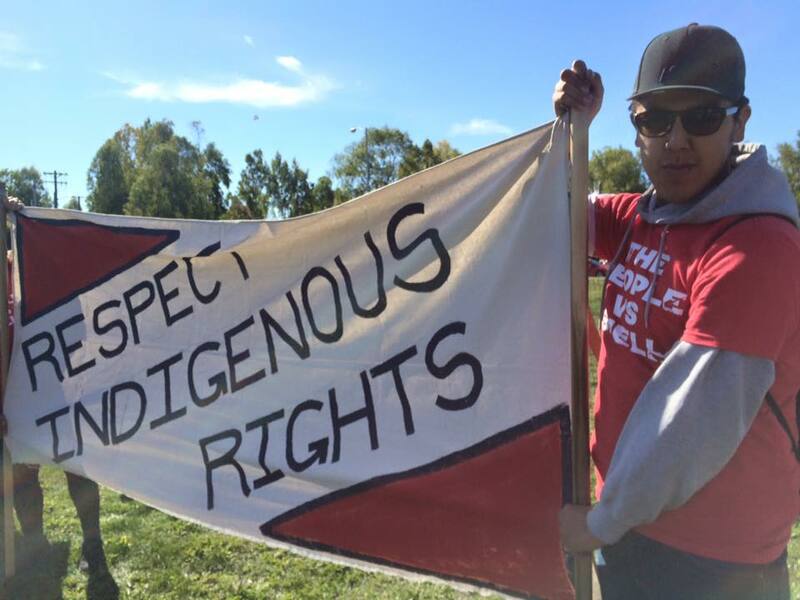 Arctic drilling is a violation of the human rights of the indigenous peoples of the Arctic. Obama and Shell are bypassing many laws designed to protect our coast and our communities. Obama needs to start listening to the peoples of the Arctic who oppose Arctic drilling."